It is apparent that Tina is constantly learning something new through available resources and interactions with others. She is genuinely curious about the ever-changing world around her, and she is not afraid of experimenting with new concepts when she pitched ideas. Due to confidentiality only parts of the work can be shown. Email mh2235@cornell.edu for more details of my work. I was responsible for the infographic design and data visualization for Bloomberg Businessweek’s iOS and social media platform. I aimed to use my design skills to tell compelling stories with complex Bloomberg data. Throughout my internship program, I got to build 5 infographics and 3 web interactive graphics, with the most successful project attracting more than 10,000 visitors to our social media platform. 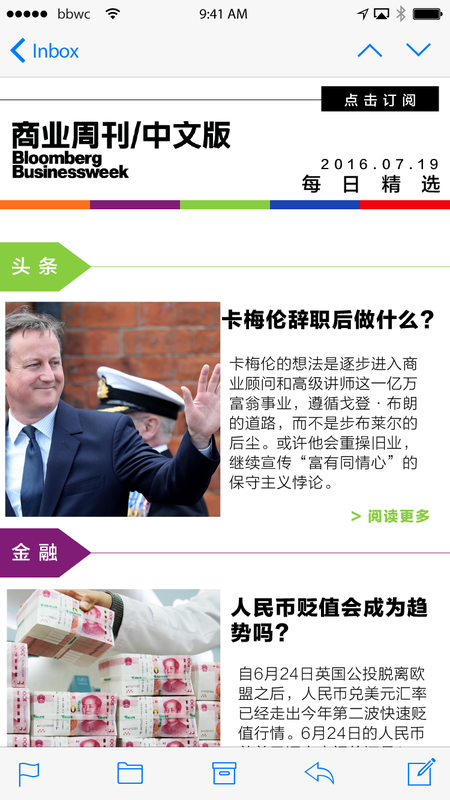 I also helped design the user interface of Bloomberg’s daily email subscription. Before the summer at Bloomberg, the concept of “story-telling” had been quite ambiguous. As a student of literature, I believed I understood the implications of “story-telling” in a business setting—a less figurative way to tell stories to attract people to use your stuff. This understanding turned out to be quite limited. After a summer of trying to make sense out of a sea of numbers, I started to understand that story-telling is a way to communicate even without words; it requires both creativity and critical thinking to evoke empathy and feelings. Data visualization, I believe, is the art of story-telling in design. I started to refine my “design process” to tell better stories through a non-verbal medium. First, I come up with a general “thesis” for my design before I started, knowing what I want to tell my audience so that I do not get distracted as I start crafting. Then I list everything I want to tell the audience so I won’t miss anything on this list; I rank them by importance to decide how each element will look like. After finishing a rough draft that follows the information architecture that I design, I start concerning about the visual details. There were a lot of time and resource constraints to almost all the projects that I was assigned, but one of the most memorable experiences was when Brexit took place. I designed around 4~6 projects everyday in response to all the turning points of this event. 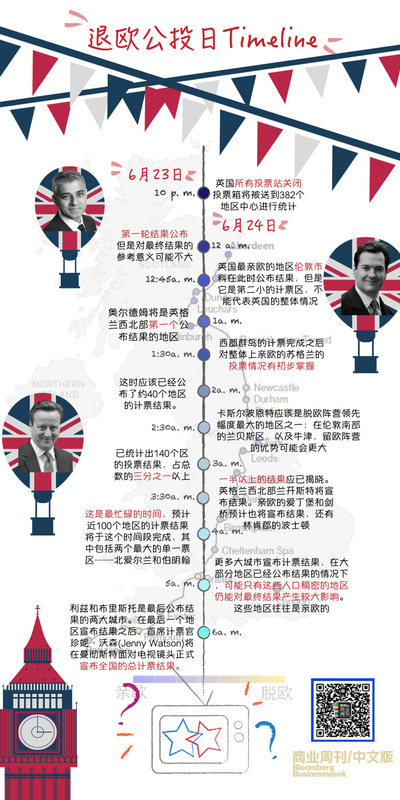 It was very exciting and nerve-wrecking at the same time—on the one hand, I was concerned about the future of Great Britain, on the other, I needed to stay focused on coming up with the most informative design for the Chinese audience. And the day that Prime Minister Cameron resigned, it happened to be my birthday, and I stayed in the office until 2 a.m. that day to finish my project—nonetheless probably one of the best birthday gifts I could give myself.